Locally owned and operated from our premises in Endsleigh Avenue, Orange, our company is the one to call when you need prompt, professional, and reliable service. Specialising in all aspects of Fire Protection for Mining, Industrial and Commercial applications our expert staff can help find the best protection for your needs. We are a licensed Pressure Test Station Quality Endorsed by SAI Global. We are 100% Locally and Family owned and operated. 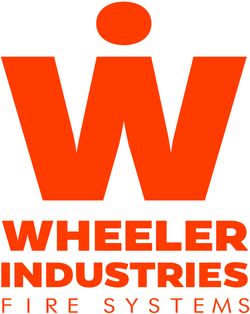 ​Wheeler Industries provides a complete fire protection service. from new construction and design/build to maintenance and service for commercial, industrial and mining – we have built our reputation on performance. We have a capable staff of service personnel and tradesmen who are backed up by more than 50 years of combined fire protection experience. No job is too big or too small, and the same professional attitude applies to all jobs. With 3 generation of Sprinkler Fitters as well as, qualified Electrical Installers, Vehicle Suppression Technicians and Fire Service Technicians we are able to provide you with the sort of service you would expect from only a family owned business. Don't Let your dreams go up in smoke! What have we already completed?